If you are looking to take the ultimate dinner selfies, you have got check out Dinner In The Sky, which hosts wildly unconventional dinner parties.. in the freaking sky! Hopefully you’re not afraid of heights.. This dining experience is like nothing we have ever seen, with guests, chefs, and wait staff all strapped in to a pedestal platform, which is then hoisted by a crane 150 feet in the air. For the next 70 minutes, you’ll enjoy a delicious meal while taking in unobstructed views of world’s most remarkable landmarks and vistas. 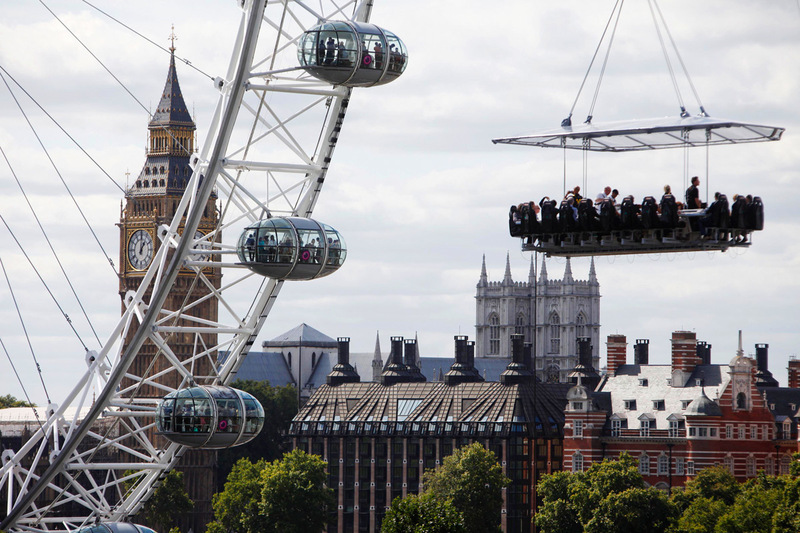 Dinner In The Sky has put on nearly 5,000 aerial dinner events in 45 countries since their inception in 2006, visiting cities such as Paris, Las Vegas, Sydney, Cape Town, Dubai, Bogota and Sao Paulo, to name a few. Before liftoff, guests are strapped into three-point harness seats, which they’re restricted to for the duration of the event (so make sure you hit the restroom before you go). Chefs and wait staff are also harnessed in, but with a mechanism that allows them to move around the platform so they perform their duties and serve you. And don’t think this is just some gimmicky dinner prepared by a “regular” line cook who’s not afraid of heights, because a number of the DITS events have been overseen by some of the world’s foremost chefs. We checked out the DITS calendar for the rest of this year, and while they’re not coming to the US in the near future, they are hosting dinner experiences (and brunches, lunches, wine tastings, and even cocktail hours) almost every week through the end of September, visiting Mexico, Slovenia, Greece, Germany, and the UK. So what’s the price of entry for such a unique dinner experience? The marquee dinner experience will set you back up to $289 per person (though prices vary depending on location), while brunch, lunch and such, which are shorter in duration, cost considerably less per person. 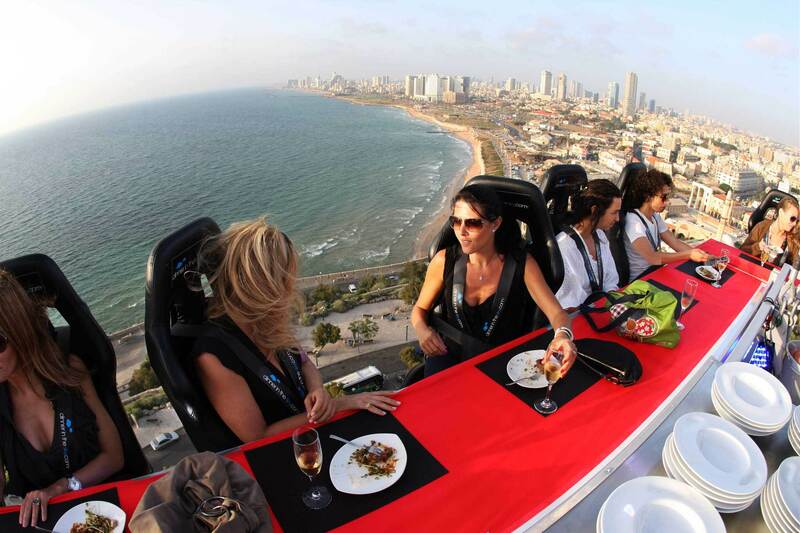 To learn more about Dinner In The Sky, check out their official website.